Foggy mornings, early sunsets and longer dawns… soon winter will be here and it will begin to snow in the higher reach. With holiday season around the corner, a cool getaway is a must. Plan a date with some winter hotspots far away and break free for the chain of smoggy weather. Here are some less popular but ideal winter hotspots in India, free from pollution, where you can soak up fresh air. It is a UNESCO World Heritage Site. 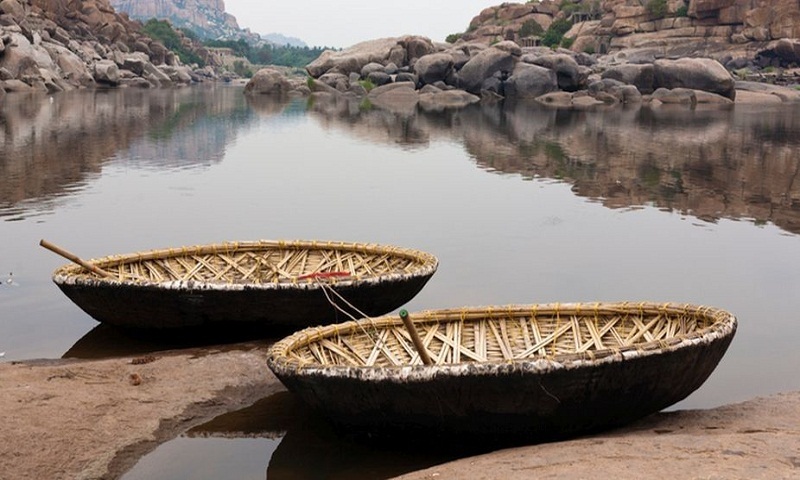 Winters are the best time to explore the ruins and the abundant boulders of Hampi. For an amazing and memorable experience, it must be done on foot or on bike. The area is covered with numerous boulders along the Tungbhadra River, also known as Pampa. Hampi is not only known for its historic significance, but it is also a revered religious spot. This place is the mythological city of Kishkindha which is believed to be the birth place of Lord Hanuman. You can take direct flights from Delhi to Bangalore and the rest of the distance (343 km) can be covered by road. Come away to the meadows of Auli, a lesser known winter destination in beautiful Himalayas of Uttarakhand. It lies on the way to the Hindu pilgrimage destination of Badrinath. The word ‘Auli’ means meadow in Garhwali (A language spoken in Uttarakhand). The hill slope makes a perfect site for enjoying skiing. It is a paradise for professionals and novices. Surrounded by Himalayas covered under thick white snow is a precious view. If you are planning a five-day long trip then you must visit the nearby places like Vishnu Prayag, Joshimath, Badrinath and Tapovan. There are direct flights from Delhi to Dehradun, which is 281 km away from Aulli. White sandy beaches of Rann of Kutch or Kutch are the perfect example of surreal beauty. Away from the city, the only sound that echoes in the ears is that of the cool wind and waves thriving and throttling to break and shape salt rocks scattered all around. Kutch comes to life in winters. From December to February the place hosts Rann Festival. Camp settlements, folk dancers and singers add colours and vibrancy to the otherwise calm desert. Relish the local food and enjoy various cultural programs and adventure activities that are organized during the fest. You can spot hot-air balloons gliding above your head. A ride in the hot-air balloon leaves you mesmerized as you appreciate the beautiful horizon and colourful miniatures when you look down. The nearest airport is Bhujj airport. You can take a cab for 71 km to reach Kutch. A paradise for avid bird watchers, Lake Chilika is the largest lake in the country. This lake is situated at the mouth of Daya River. It is a black-water lagoon. During winter season it hosts migratory birds from Caspian Sea, Aral Sea, Lake Baikal, and some parts of Russia, Siberia, Iran, Kirghiz steppes of Mongolia, Central and Southeast Asia, Ladakh and Himalayas. The place is known to be a house to around 160 species of migratory birds during winter season. Direct flight from Delhi to Bhubaneswar can be taken and the rest of the distance of 120 km to the lake can be covered by a cab. Scotland of East or the abode of clouds, the beauty of this place stretches from dawn to dusk. The name ‘Shillong’ has been derived from the word Leishyllong’. It means supreme power or God who is believed to reside on Shillong Peak. Surrounded by hills and mountains and rolling meadows and numerous waterfalls, it is the perfect destination to appreciate and enjoy the beauty of nature. Waterfalls like Crinoline Falls, the two Gunner’s fall, Spread Eagle, Elephant Gait and Elephant Falls, Beadon and Sweet Falls should be in the itinerary for sure. Flight from New Delhi to Umroi airport can be taken to reach Shillong, which is just 30 km away from the airport. Also, one can catch a cab from Guwahati airport to the city, which is three-four hours away. This winter, head to these must-see destinations and explore their amazing hot spots and get inspired to travel and explore more.